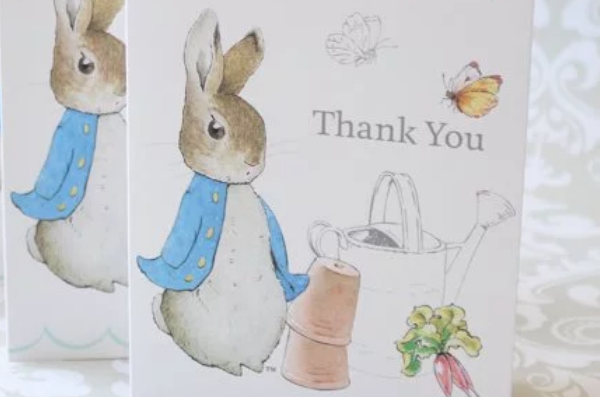 It’s Friday and we’re feeling full of whimsy! 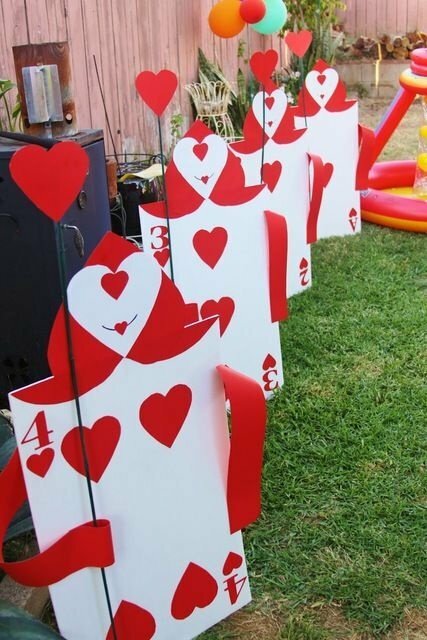 What better way to celebrate than with a magically inspiring Alice in Wonderland birthday party theme. 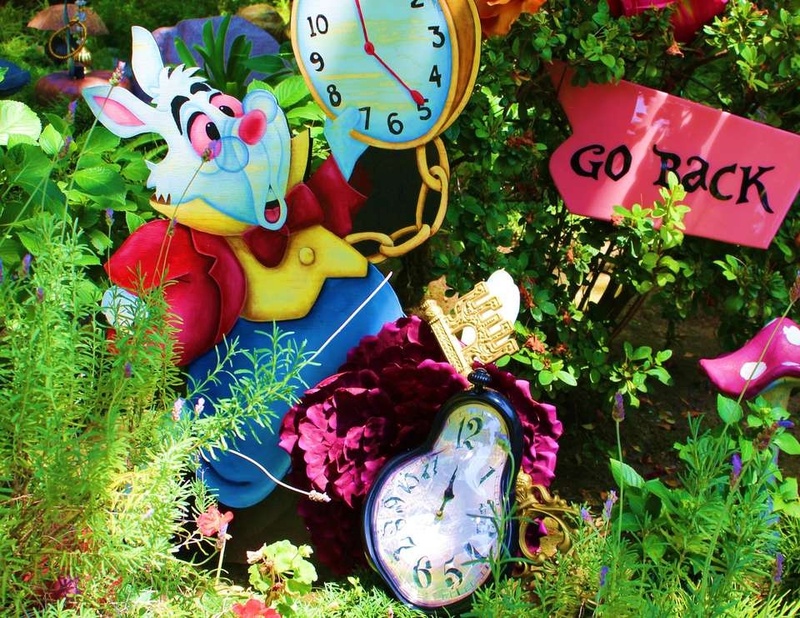 This festive, imaginative, and crazy-fun theme is a perfect fit for a spring time soiree. 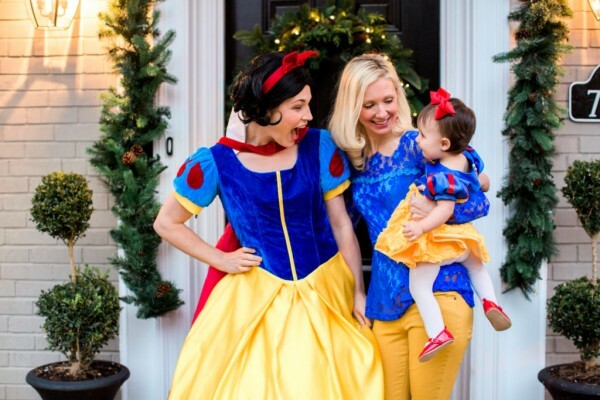 Check out these fairy tale like images from Catch My Party and get ready to fall down the rabbit hole of inspiration! 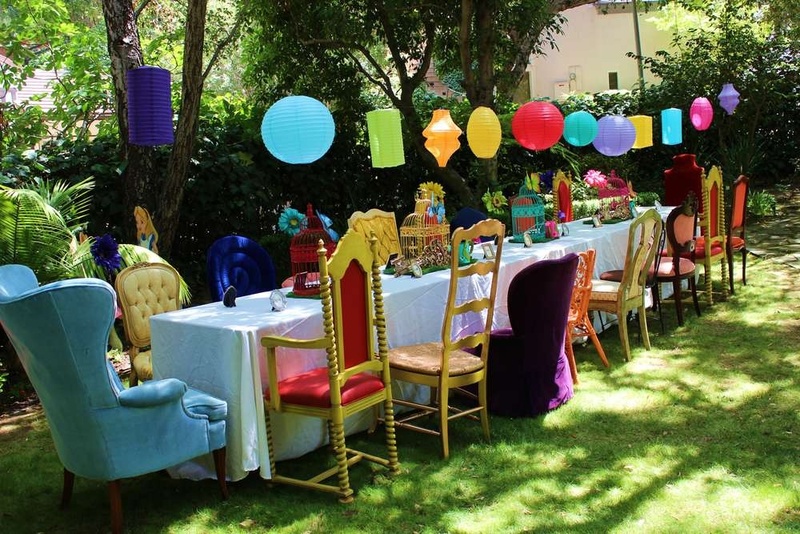 Mix and match chairs, colorful paper lanterns, and decorative bird cages instantly evoke the perfect Alice in Wonderland look and feel. 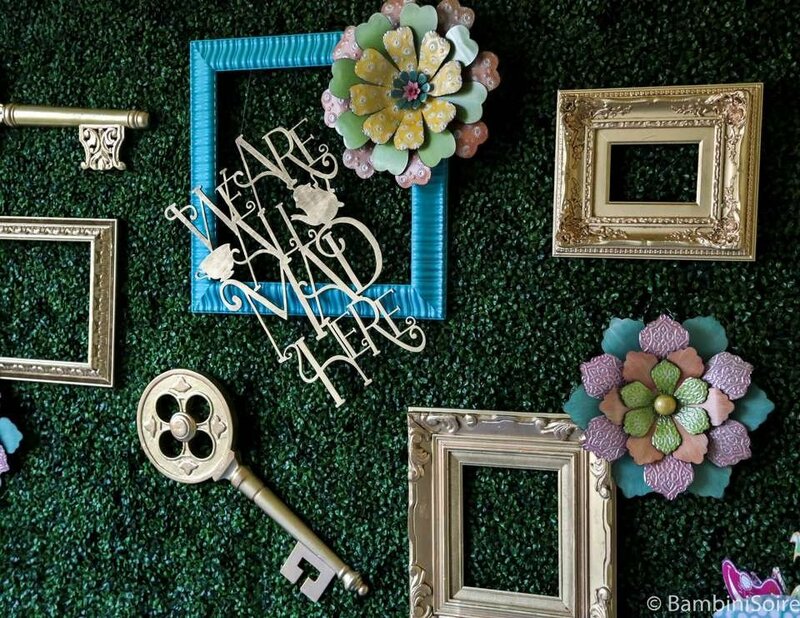 Careful attention to details like hanging vintage looking frames and accessories add to the playful vibe of this theme. 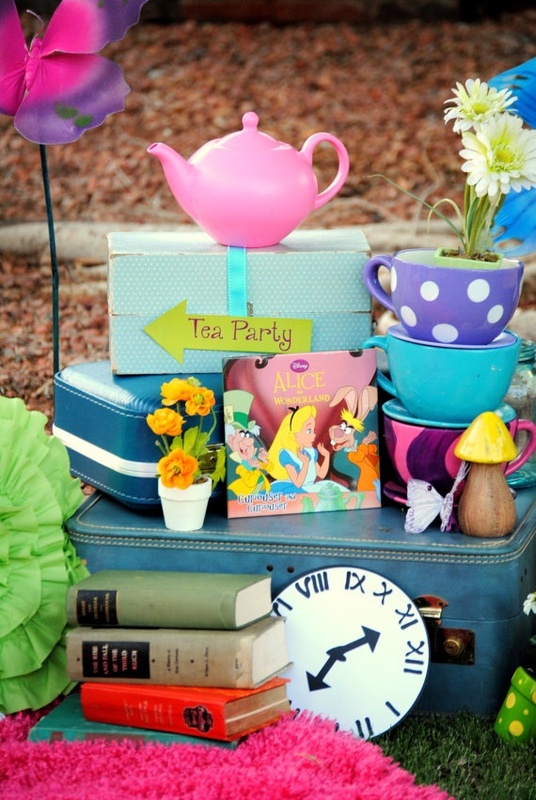 Pull out your most colorful teapots and teacups to use as decoration for your mad tea party. 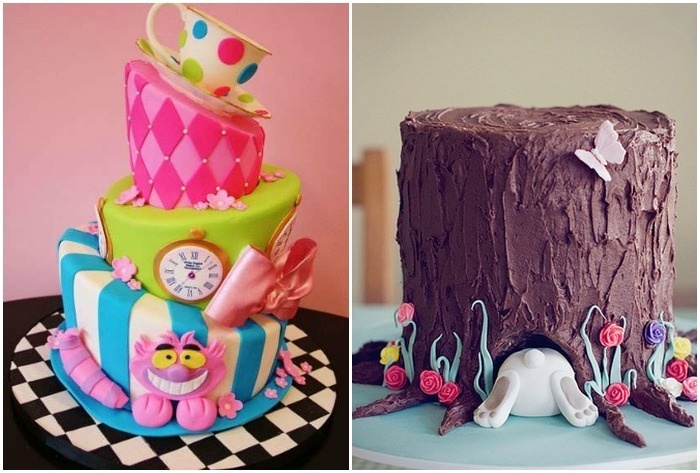 Last but certainly not least, it’s not a proper mad hatter tea party birthday without a delicious and crazy-looking Alice in Wonderland themed cake!